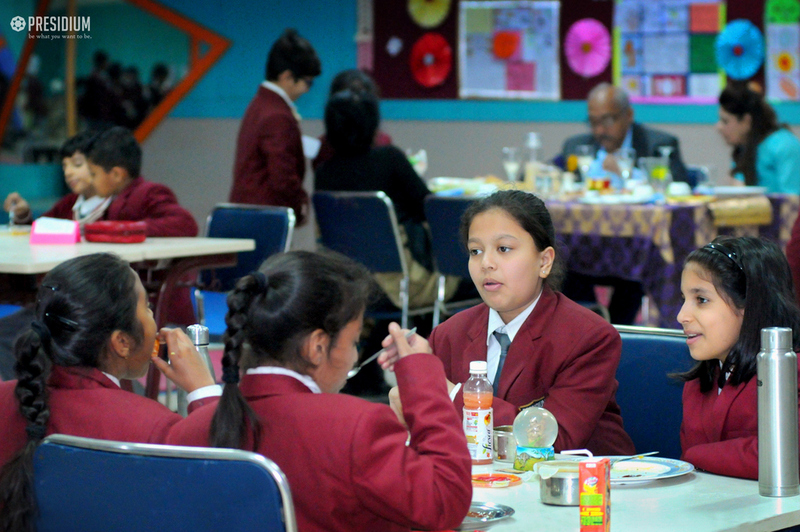 ‘Learning is a process whereby knowledge is created through the transformation of experience’. 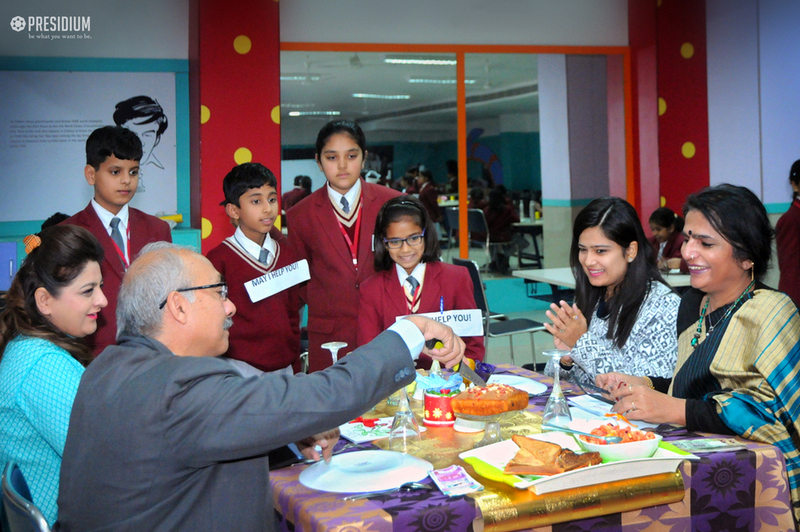 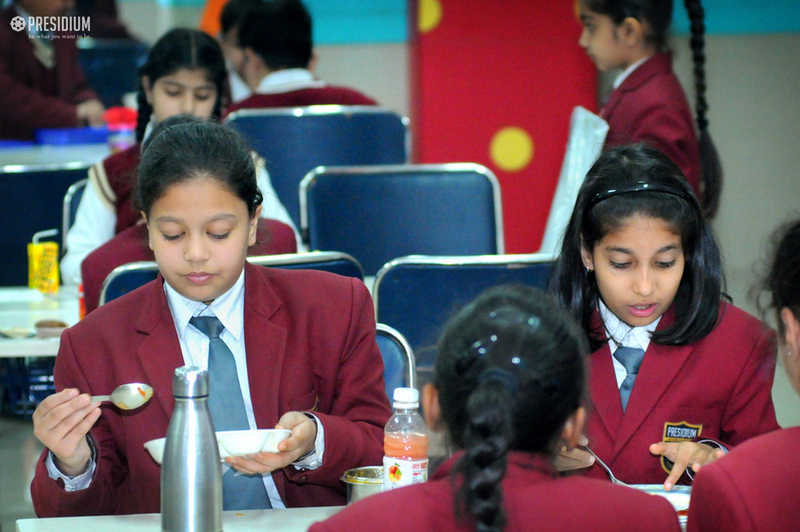 Having learnt all about the theme ‘Restaurant’ included in the curriculum of PBL, now it was the time to apply their knowledge, skill and hard work by conducting a ‘Tasting Event’ as a part of culmination of the project. 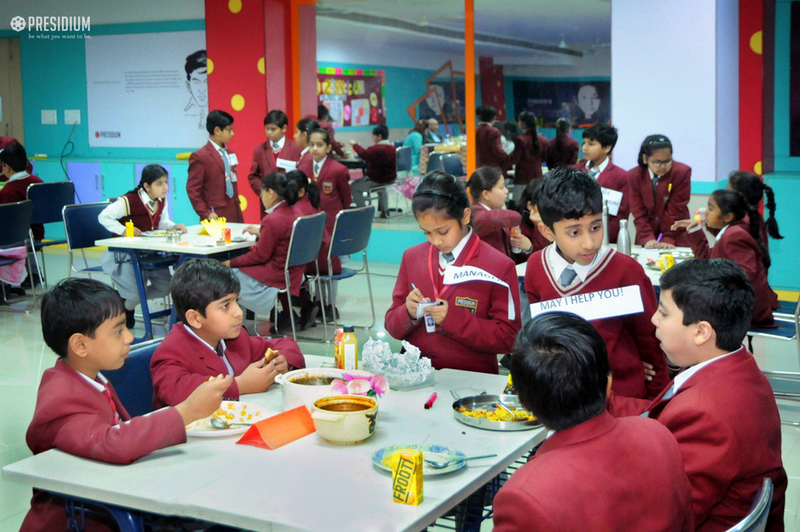 Each and every student of Grade 4 took part in the activity with great zeal and enthusiasm. 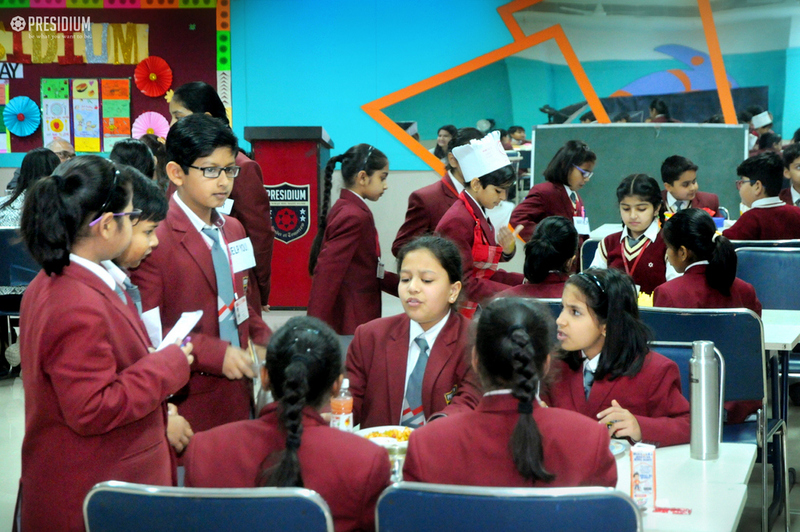 Different roles were allocated to the students to make them understand their value and importance in the running of a restaurant. 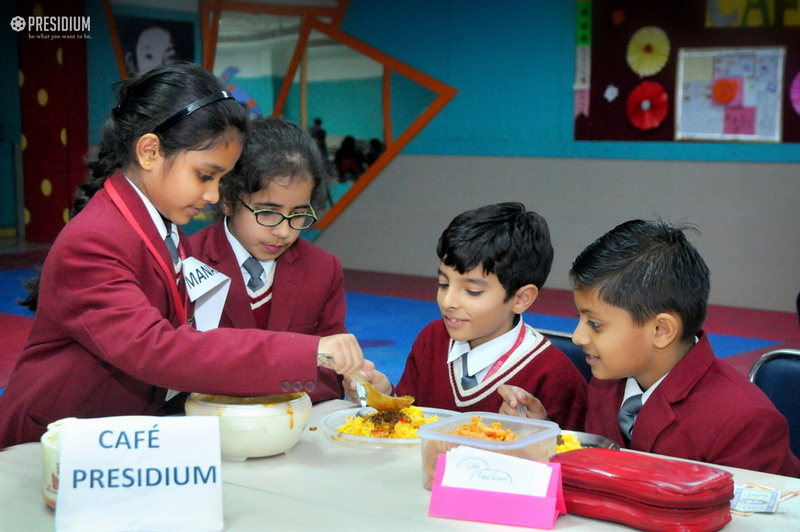 The students not only played their part with great sincerity and dedication, but they also learnt to work collaboratively as a team to complete this challenge. 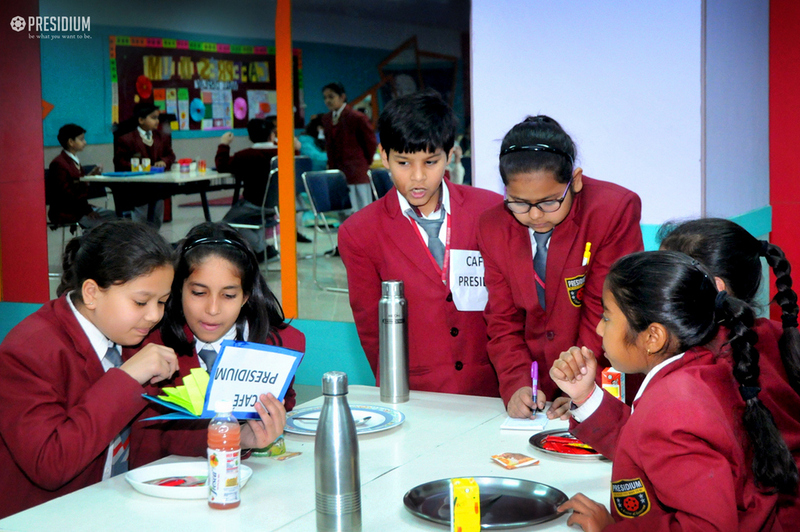 Learning about various concepts like experience writing, poster making, computing bills and healthy food were taught through this activity. 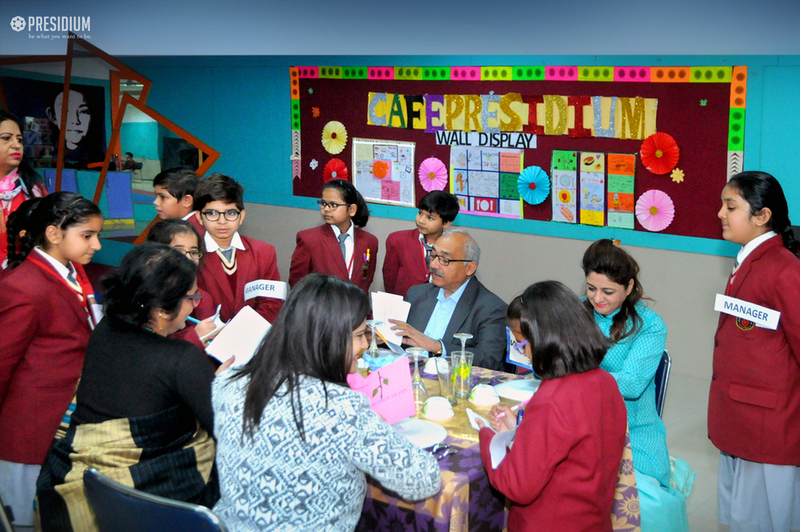 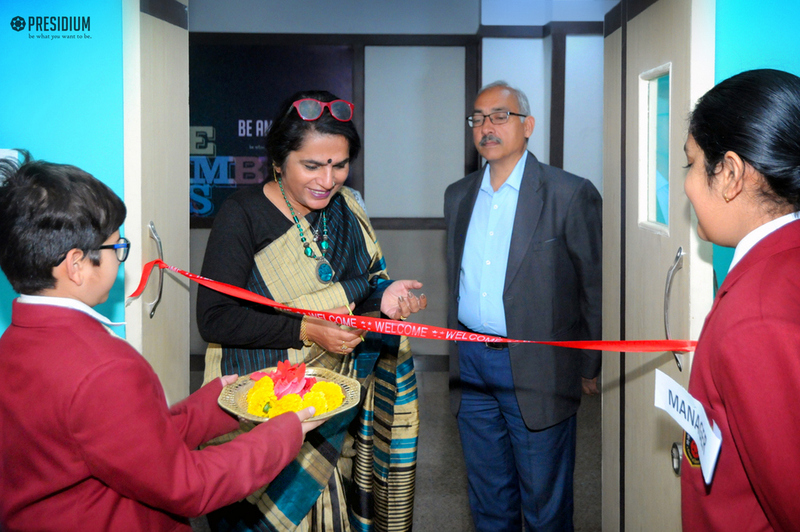 The children learnt these concepts through experiential learning which is the methodology followed in Presidium. 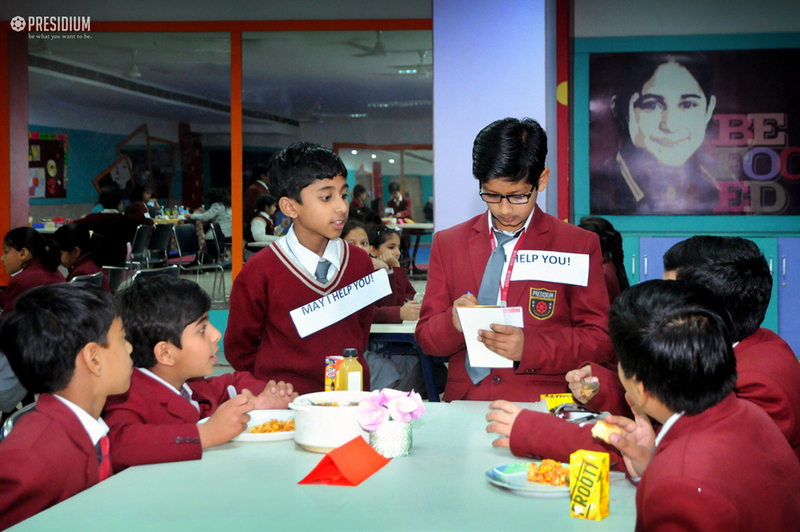 The kids enjoyed this activity thoroughly and showed that learning could be so fun.